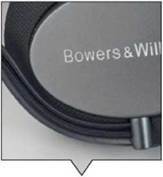 The Bowers & Wilkins PX is a gorgeously designed pair of over-ear headphones that have a decidedly industrial look thanks to the machined aluminum finish and the liberal use of ballistic nylon shell on the ear pad covers. These fold flat for easy storage, and also come with a nicely designed cloth pouch for travel. The PX boasts added smarts that allow it to digitally upsample all incoming audio to 768kHz, further enhancing the detail. ANC can be altered on the go via a companion smart app, so you can choose how much of the environmental noise to let in via a slider or by choosing one of three presets. The headphone also has smart sensors to detect when an ear pad is off your ear, and will automatically pause playback, restarting it once it detects that both ear pads are on once more. This not only saves you battery life, but also saves you having to backtrack to the right spot. The headphone also impressed in terms of audio, as it was easily one of the most musical of the group. A recording of Eric Clapton’s Layla from his Unplugged album was like a free ticket to the concert, because if you closed your eyes you can easily picture where everything was. Clapton slightly off center, with the lead piano and his backup singers to the left. Bass is round and sweet, but not too overwhelming as to take over the track. This was again reflected in the PX’s rendition of Melt my Heart to Stone by Adele, as the headphone gives the bass line in this track good body and adequate depth. Adele’s vocals have good clarity, and the drums (and cymbal work) anchor the entire piece nicely, while the piano work shows of the headphone’s capabilities on the high end. Performance aside, our issues with the PX come from the fact that cushioning doesn’t extend out enough to properly support larger ears, so you may find your ears squashed against the drivers. ANC performance also lags slightly behind the Bose QC35 and the Sony WH-1000XM2. + Great sound quality overall. 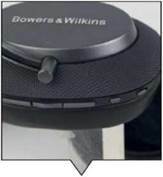 The tiny button second from right engages the environmental listening function. – Not comfortable for long periods of use. The PX’s main cable is showcased as part of the design.